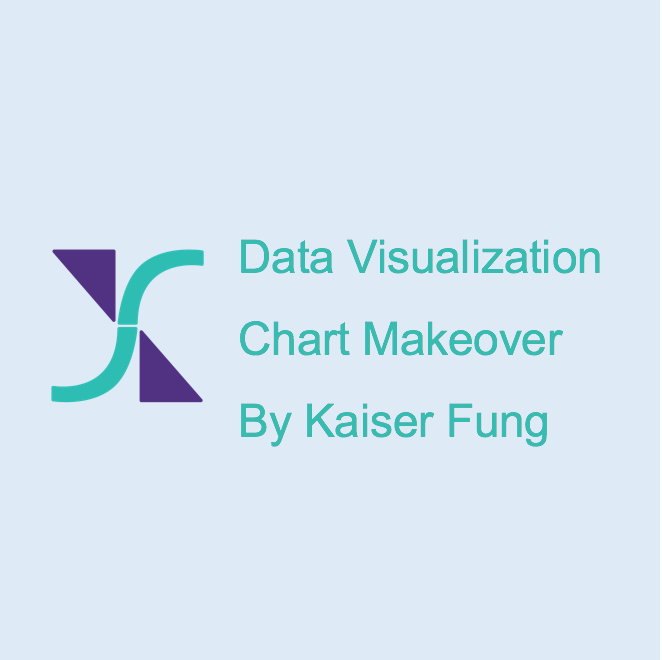 When trying to visualise grow of just one type data, it is often best to rebase the chart to 100 at the first datapoint. This way, one can easily emphasize growth or decline. Thanks for keeping up the good fight! I wanted to say I used one of your examples in a journal-editors training session for What Manuscript's Graphs Should Not Look Like. It was very effective. As a physician, I have had the concerns about these ads for 2 additional reasons: 1) is that drop statistically significant or merely a "trend". No mention is made of this; and 2), even if it is, is it clinically important (does dropping from ~208 to ~199 have any defined health benefits). A bar chart is obviously a wrong choice. As long as you observe JF scientist's principles, I think it's fine to leave out the zero in graphs like that. WASHINGTON—The Quaker Oats Company has agreed to drop certain claims on labels and in advertising that the Center for Science in the Public Interest (CSPI) says exaggerated the health benefits of eating oatmeal. 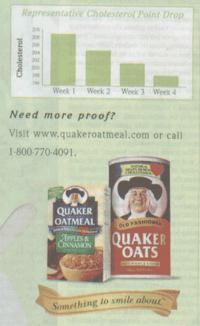 Quaker will no longer describe its oatmeal as a "unique" whole grain food that "actively finds" cholesterol and "removes it from the body" and will no longer display a graph that greatly exaggerated the cholesterol-lowering potential of oatmeal. In turn, CSPI will not file a lawsuit that it warned Quaker company about in October.